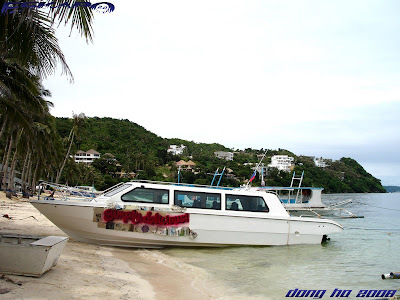 there are many ways to explore the island of Boracay. 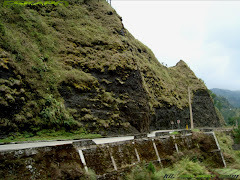 most usual way is to take a tricycle or a motorcycle that can bring you almost anywhere in the island. van and mini jeepneys can also be rented thru your resort’s coordination. in my case, i decided to take a bike to see the other parts of the island. 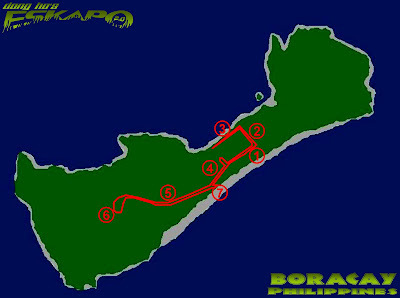 looking at the map of Boracay, i chose the path that I want to take for a an hour bike ride. i rented a bike in one of the sports shop in D’mall and named it Scud. it’s a red Montana mountain bike. 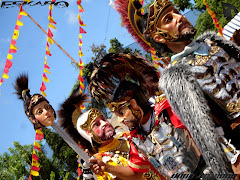 do you still remember Blooz in San Pablo? so i left the shop going to my first stop(2), which is this small body of water in the middle of the island, just along the Bulabog road. second stop (3) is the beach of Bulabog. 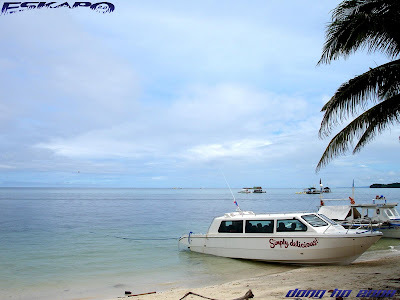 best place for the different water sports like banana boat ride, jetski and parasailing. there are fewer resorts here as this area is usually used for docking private motorboats. from here, I have to drive back to the main road going western part of the island. drop by the Boracay church (4) to thank God of the blessings and continued my way along the main road. 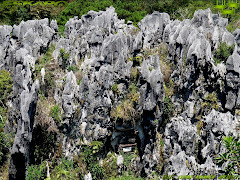 leaving the central area, i now enter the barangay of Yapak. cycling was quite challenging on that side (5) because it's an uphill. that’s why from here, you’ll notice that there are bug cars and ATVs for rent. 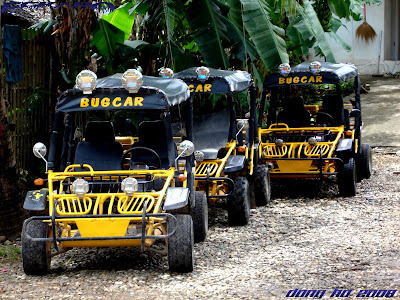 a bunch of tourists were enjoying these ATVs as they usually go their way up to Mount Luho, Boracay’s highest peak. i stopped for a drink on one of the roadside stores. continued my way up passing by Fairways Golf course which is just a short distance from my turning point (6). 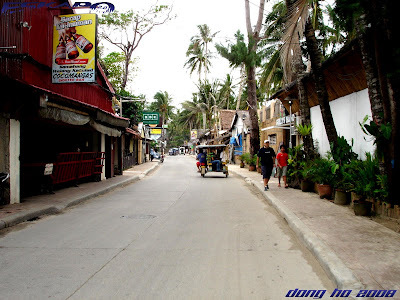 from there, i have to go down back to the main road Boracay central area. my last stop was a small alley that leads to a view of the beach (7). this is the alley next to Willy’s resort. took some photos and went back to D’mall just in time. this is just another way to enjoy this island. it’s cheap and is a good way to promote healthy living plus saving the environment from pollution. thanks Scud. here's the route that i took. I won’t be able to check your blogs during the weekend as i’ll be traveling with best bud Lawstude and Orlan. enjoy your weekend! Gorgeous pictures, very beautiful places. 'Taxidiaris' will take care of them soon! haaay, i am such a boracay virgin... balang araw i promise! 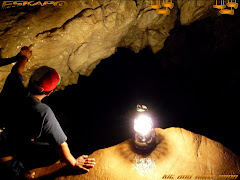 Your photos are always exotic friend, sometimes i'll di like that also..
great trip bro. i never tried biking when i was there. sarap ng hangin jan at di ka naman mapapagod because of the scenery. looking forward to the weekend bro. 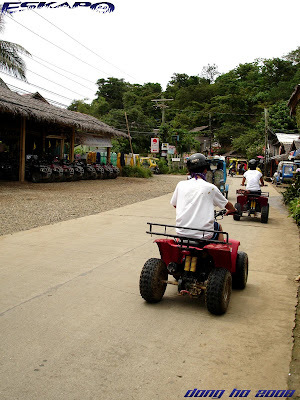 yan ang gusto ko sa mga trip mo..showing the other side na indi masyadong common for tourist..
Those ATV's look so fun! I like the green of these nice places. I'd like very much to visit them. >philip, hahaha... i wonder when that'll be. inform us. >ewik, mahal na mahal mo ang boracay. >oman, tama. medyo hindi pa kasi ganun ka dami ng bahay doon sa taas. tsaka ok din pag pababa na ang daan. in less than 24hours nandyan na kami. >dakilang islander, maraming salamat. marami kasing akala sa boracay beach lang ang pwedeng puntahan. >pusang-gala, tama. papuntang Puka beach nga yung route na yon. tingin ko din mga koreans ang may ari nun. yung nasa picture dyan mga koreans kasi yon. >ewik, hehehe... pwede na nga. I would love the explore this island one day.. Cycling is the best way to explore a place and it is the cheapest way.. Great Shot! i think Mt. 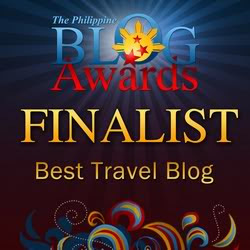 Luho was the one featured in Discovery Travel n Living(Fun Asia by Janet Hsieh)..it feels great to see photos of how beautiful our country is..sarap ipagsigawan sa buong mundo..keep it up! >aethen, magagawa mo rin ito. lalo na ngayon at may trabaho ka na. >hi aquamarine, talaga? hindi ko alam yon. ganda syempre ang pinas. atin ito! yung iba kong byahe work related pero ito hindi. bale may nagyaya lang talaga na bumyahe. kainis. punta dapat kami boracay next year. kaso umurong mga pinsan ko. hmpf. my mind was in a state of serenity and peace when I see those nice pics. I heard that ATV is very slow ha! People like me who live in a city with so much pollution (air, noise, u named it!) really look forward to a rejuvenation in a countryside like that! 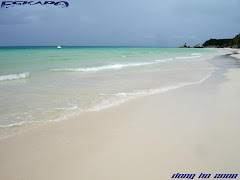 Great choice for the transport and great photos as well of the non beach part of the island. On my next visit will try to see more of the inland. pamilyar yung likod nung guy sa last pic..sana talaga humaharap sya sa cam no para naman makita ang kanyang pagiging cute..na sesense ko lang na cute yun..
>jericho, hanap ka na lang ng ibang kasama. siguradong dami ding iba na gustong sumama. >hi eunice, you're welcome to visit our country! we can help you get around the country. yes ATVs are slower than the regular motorbikes. >jayashkal, i recommend that you rent a motorcycle and roam around the island. >hi doc rio, hahaha... patawa ka talaga. naalala mo pa pala si blooz. swerte din naman ng mga nagiging kaibigan mo. hindi ko nga kilala yang taong yan. hindi kasi humarap nung kinuhanan ko yang picture an yan. >hi nanay belen, cute nga talaga ng mga bug cars. nagulat nga ako kasi may mga amerikanong sumakay doon. kumasya naman. the bug cars look cool! aba, may mt. luho pala sa boracay. 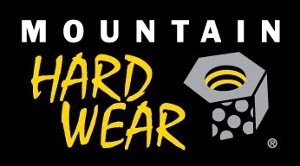 were you able to bike up to the highest peak? looking forward to your next post. DITO KO LANG NAKITA ANG OTHER SIDE NG BORA HA. Hala caps lock na naman. Obvious am working. lol. May kapatid pala si Blooz in the name of Scud. Swerte ni Scud dahil kasama sa paglibot-libot ni Dong sa Bora. Cute ng mga bug cars ah! wow naman! i have long dreamt a boracay vacation. cool rides! Wow! very lovely scene. Dong, how long you will stay there in Bora, and where will be your next stop? 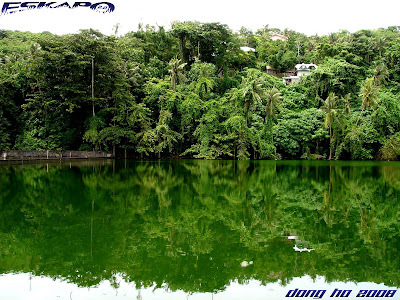 I like the green trees reflecting on water..
all of your shots are so damn wonderful.. grabe, kaka-inlove mga lugar dito sa Pinas. Thanks for posting it. I'll be there soon. hehe Take care! This is a good post. It shows another way to enjoy the island. I love to bike too and this is a way to spend time away from the beach. Wow, other side of Bora! 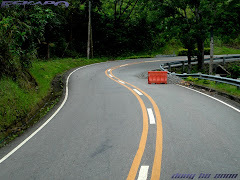 Di pa namen na-try yang motor something! We'll do next visit! How much pala ang rate? 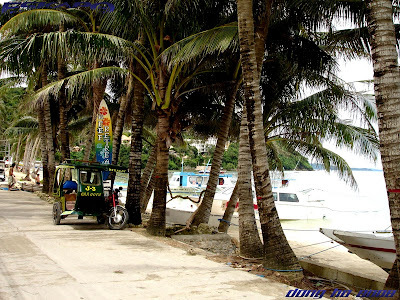 Excellent travelogue of Boracay! would love to drive those bugs one day. The photos are extraordinary as well. Keep it up! Beautiful reflections on the water! I'd take that car for a ride!!! Baket motorcycle? Yung bisekleta ba eh environmental friendly pero baka di old legs' friendly... hehehee. I know what you mean me mga pataas dyan. 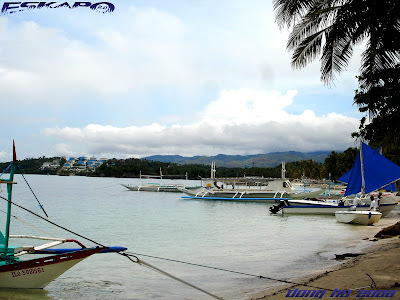 Last time we saw just he market to buy some seafoods, at nag round the islands by banca... sarapppp. Nonetheless, trust you guysare now having a grand time :) Enjoy and ingat! wow bora again.. daming nagbora escapade yata sa mga buwan na to ah. isama nyo ko... haha. ingat kayo ni kuya oman at orlan..
you named the bike after me! haha. 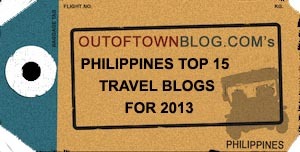 email me the pinatubo-palawan plans! tagal ko na inaantay. I'm from that province and I've been to Boracay a lot of times, but you've been and seen places there I didn't know exist. You have such an exciting life. Every journey must always be a big adventure for you. I would love to try one of those ATVs next time. You really document your trips very well! lam mo bang kahit kailan hindi pa ako nakakarating ng Boracay! tsk tsk! kakainggit hahaha!! maganda nga sigurong magcycling around boracay. ok din yung ideya na magrent ng bike o motor. 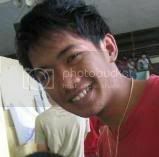 i remember ginawa mo din yan sa iba mong trips. tanda ko nagrent ka din sa bantayan eh. and you always give them names. cool! hehe. ingat kayo sa biyahe ni kuya oman! 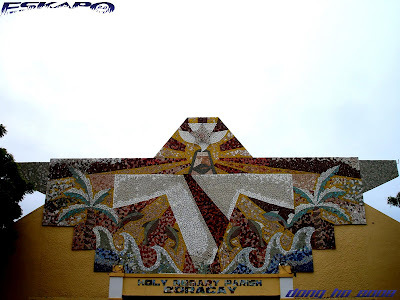 sa dami ng blogger na nakita kong nagpost ng px sa boracay, ikaw lang yata ang naginclude ng church..and had the px isnt vivid, siguro di ko agad manotice..
pakita ka na sa camera bro dong, surely maraming matutuwang makita ka..
great article about the place. love the pics too! Cool. 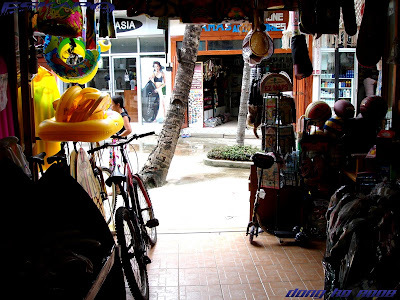 Very interesting and informative post on Boracay. Nice to be able to move around the island in the various mode of transport. Hey, I like the jeep and ATV. The ATV is exactly like the one I tried at Korea. It was fun although at times can dangerous when we are going down those slopes. I would like to try again if ever I get a chance. 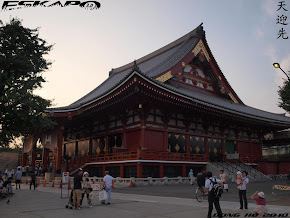 I love your photo narration. 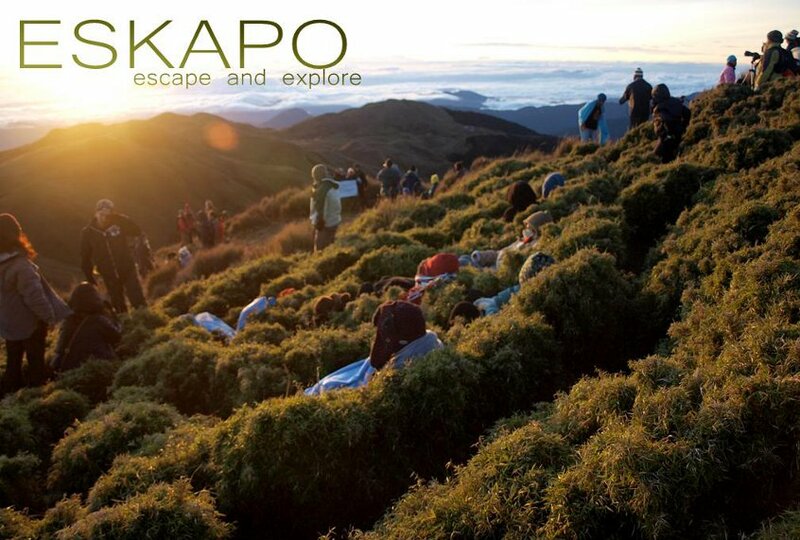 Now if ever i go back in Philippines, I would know how to spend my time too. I love cycling and it ia more quiet and healthy., And of course, as you have pointed out, it is as well very nature friendly compared to the other modes of transportt. 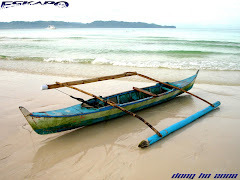 Though my province is not far feom Boracay, I never had the chance to visit.. The place did not seem to appeal to me until i saw your posting... Hmmm, it looks and sounds very interesting and promising... I dunno how long I would be here in Europe but now am sure if I go back in Philippines, boracay is a place to visit and cycle too! Great post! Your photos convey hospitality, warmth, community, and tranquility all at once. These are great. 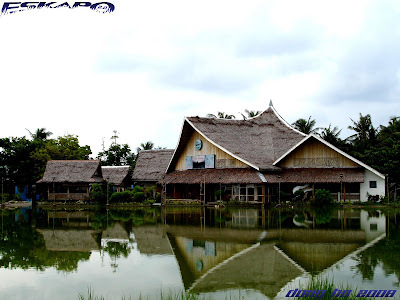 I was especially taken by the photo of the houses reflected in the water. wow. 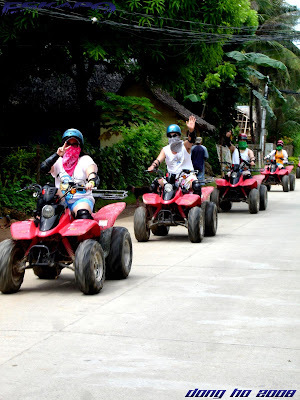 thanks for featuring the other side of boracay :) i tried the ATV. super fun! sorry i failed to log out a different account. pre, it seems you have a great time there :) Sana makabalik ako para ma experience ko ng mabuti ang Boracay. 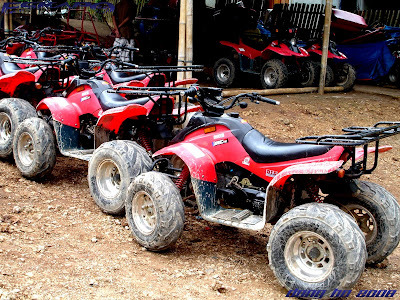 i was really surprised when i saw the quad bikes in boracay on my last visit. 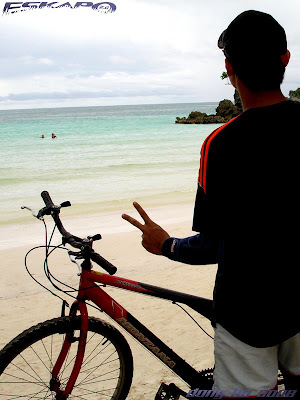 cycling is great in boracay because there's so much to see.